Prior to this new theming feature, Kezz Bracey wrote a great tutorial on how to create a Jekyll theme. In this tutorial, we’re going to extend upon Kezz’s post by converting our template into an official Jekyll theme gem. The Jekyll category on Themeforest has a bunch of themes ranging from $16 to $29. Why not submit your own, all wrapped up as a neat Ruby Gem? Before we get started, I would recommend you read through the previous tutorial. I’m going to assume you already have a Jekyll theme created using Kezz’s method, or you may even have a well written Jekyll site that you’d like to convert into an official Jekyll theme. You’re going to need to use the command line when working on your Jekyll theme, but once again, Kezz has you covered! This is a series specifically for web designers, showing you how to utilize command line tools that are incredibly useful specifically for web design projects. Finally, you’ll need to sign up for a RubyGems.org account. Doing this allows you to push your theme to their registry so other Jekyll users can download and use it. The _layouts/, _includes/ and _sass/ folders are the same as the folders you’d see in a normal Jekyll project, containing all your page layouts, “includes” (or “partials”) and Sass files. awesome-jekyll-theme.gemspec is the file that describes your gem theme. Here is where you can list the name, the version, a description, a homepage, and a list of gems for your theme gem. The Gemfile is for Bundler, which we mentioned before. This links the gems listed in your .gemspec file with Bundler in your command line tool. We’ll be using Bundler later to test out your theme. Finally, the README.md and LICENSE.txt are there to document your theme and to provide a suitable license. You’re probably familiar with these files if you’ve created a GitHub project before. Note: It’s important to document your theme thoroughly. That way, people who want to use your theme will be able to do so easily, and use the options and controls you’ve provided within it. Given that a Jekyll project has a pretty similar file structure to a Jekyll theme, you can go ahead and copy most of your files over. You’ll probably want to overwrite the pre-existing layout files that come with the base theme with your own. So, all your layout files need to go into the _layouts/ folder, your includes into the _includes/ folder, and your Sass files into the _sass/ folder within the base theme you created. In turn, you’ll need to update the paths in your code to reflect this path change. For example, css/styles.scss will change to assets/styles.scss. Hint: To make sure your paths are correct in your theme, you might want to check out relative_url and absolute_url which have recently been added to Jekyll. spec.description   = "A longer explanation of my awesome gem theme that isn’t the same as my summary." The name should be the name of your theme, which should match with the .gemspec file name. The version should be the latest number of your theme gem. The authors can be a list of people, but, for now, it’s just myself developing this theme. email should be the same email you signed up with for RubyGems.org. The summary and description should be short and long explanations respectively of your theme gem. You can either set the homepage to a live demo of the theme or even the GitHub repo in which is resides. The license should match whatever license you’ve provided in the theme gem (the LICENSE.txt file). The files value should be left unchanged as that marks the files and folders that will be used in your final theme gem. The last part of the .gemspec file is a list of gems that are needed in order for your theme to work correctly. In my example, I have just one gem that is needed for it to run: jekyll-seo-tag. The other gems listed, jekyll and bundler, are development gems and are only needed when someone is developing the theme gem. Make sure to add all the gems you need for your theme in this file. You can find a full list of Jekyll’s plugins on their site. Now that we have our theme files and our .gemspec file has been filled in, we can now perform some initial testing. However, we’re going to need some sample content, so copy over the _config.yml from your old template theme, along with some markdown content. An index.md file with some content should be sufficient for an initial test, but you may want to add an example post, as well. Blogging is one of the key features of Jekyll, so it would be a good idea to test this. Note: Make sure your front matter has a layout selected or you might not see the theme correctly when running locally. What this file does is to tell Bundler to look on RubyGems.org for the gems in your .gemspec file. So, with that in mind, let’s test your theme. You should then be able to view your theme at http://localhost:4000. If an error occurs, it might be because you’re missing a gem in your .gemspec file. Note: You might need to whitelist gems in your _config.yml file, if you haven’t already done so, as well as stating them in your .gemspec. If you’re struggling to get to grips with Jekyll, Guy Routledge has created a great course for Tuts+ on Building Static Websites With Jekyll. Next, you’re going to be spending some time refining your theme to make sure it works with a variety of content formats and sizes. You might also want to consider customisation options, either through a global setting in the _config.yml or on separate pages in the front matter. The user has the ability to overwrite any file in your theme gem with their own file on their own Jekyll site. For example, if you have _includes/header.html in your theme gem, the theme user can overwrite that file with _includes/header.html on their own site. You might want to think about making your theme flexible enough that the theme user can easily overwrite your files to make their own site more unique. If you’re adding customisation to your theme, you’re going to need documentation to go with it. Documenting your theme gem is very important. If the documentation is poor, then people won’t want to use the theme. All of this can be listed in the README.md, which was created when we generated the base Jekyll theme. When the theme gets pushed up to RubyGems.org, the readme file will be processed and shown on the gem page for people to refer to. Along with your documentation, I would recommend providing some demo content to get people started with your theme. A _config.yml, index.md and example post file, similar to the ones you used to test your theme with earlier, along with a Gemfile should be sufficient. Although it should only require the user to add the gem to their Gemfile, it would be very helpful to provide an example setup that they can download and use straight away. You’ll need to provide a screenshot for your theme, as stated in the official Jekyll documentation, with the name screenshot.png. Not only will this allow people to see how your theme looks at a glance, but it will also provide a consistency across all Jekyll themes so that they can be displayed in a gallery or admin UI in the future. Once you’re happy with your theme, and you’ve tested and documented it, you’ll need to push it up to the RubyGems.org registry so that others can use it. If this is your first time pushing a gem to RubyGems.org, it will ask you to log in with the details you used to sign up. After that, the gem should be pushed up to the registry, meaning your theme gem has been published. Hint: With most command line tools, if you write the first few letters of a file and then press Tab, it should autocomplete the rest of the file name, as long as there isn’t another file starting with the same letters in the same folder. Once this has happened, you’ll need to do some further testing and follow your own instructions on installing and using the theme gem. The instructions should be fairly similar to the ones shown on the official Jekyll site. 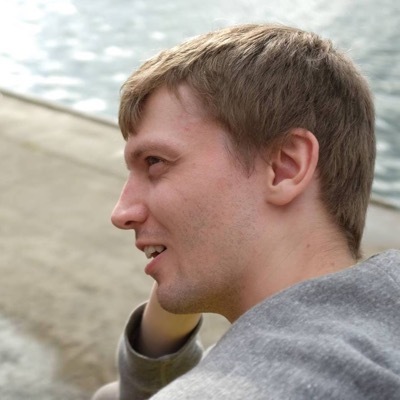 Hi I’m Dave, a web designer & front-end developer based in Bristol. I currently work at BaseKit as a UX & Prototype Designer. I also write articles and work on open source projects.